Arthur B. Laffer is the founder and chairman of Laffer Associates, an institutional economic research and consulting firm, as well as Laffer Investments, an institutional investment management firm utilizing diverse investment strategies. Laffer Associates' research focuses on the interconnecting macroeconomic, political and demographic changes affecting global financial markets. 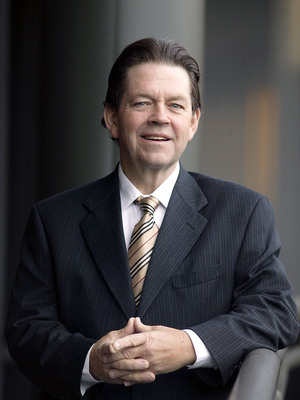 Laffer Investments' investment management strategies utilize some of the economic principles and models pioneered by Dr. Laffer, as well as other unique offerings managed by the firm's portfolio management group. The firms provide research and investment management services to a diverse group of clients, which includes institutions, pension funds, corporations, endowments, foundations, individuals and others. Dr. Laffer's economic acumen and influence in triggering a world-wide tax-cutting movement in the 1980s have earned him the distinction in many publications as "The Father of Supply- Side Economics." One of his earliest successes in shaping public policy was his involvement in Proposition 13, the groundbreaking California initiative that drastically cut property taxes in the state in 1978. Dr. Laffer was a member of President Reagan's Economic Policy Advisory Board for both of his two terms (1981-1989). He was a member of the Executive Committee of the Reagan/Bush Finance Committee in 1984 and was a founding member of the Reagan Executive Advisory Committee for the presidential race of 1980. He also advised Prime Minister Margaret Thatcher on fiscal policy in the UK during the 1980s. Dr. Laffer has been widely acknowledged for his economic achievements. He was noted in Time magazine's March 29, 1999 cover story "The Century's Greatest Minds" for inventing the Laffer Curve, which it deemed one of "a few of the advances that powered this extraordinary century." He was listed in "A Dozen Who Shaped the '80s," in the Los Angeles Times on Jan. 1, 1990, and in "A Gallery of the Greatest People Who Influenced Our Daily Business," in The Wall Street Journal on June 23, 1989. His creation of the Laffer Curve was deemed a "memorable event" in financial history by the Institutional Investor in its July 1992 Silver Anniversary issue, "The Heroes, Villains, Triumphs, Failures and Other Memorable Events." In addition, Bloomberg Businessweek selected the Laffer Curve as one of the "85 Most Disruptive Ideas In Our History" for its 85th anniversary issue in 2014. 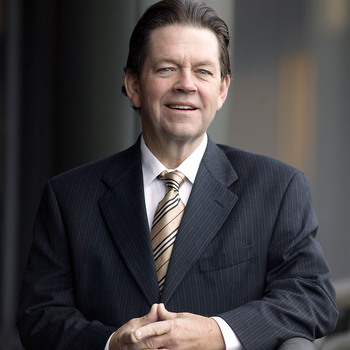 The awards that Dr. Laffer has received for his economic work include: two Graham and Dodd Awards from the Financial Analyst Federation for outstanding feature articles published in the Financial Analysts Journal; the Distinguished Service Award by the National Association of Investment Clubs; the Adam Smith Award for his insights and contributions to the Wealth of Nations; and the Daniel Webster Award for public speaking by the International Platform Association. I addition, Dr. Laffer earned the Father of the Year award from the West Coast Father's Day Committee in 1983 and was awarded the Hayek Lifetime Achievement Award in 2016. In December 2017, Dr. Laffer became the first recipient of the American Legislative Exchange Council's Laffer Award for Economic Excellence. Years of experience and success in advising on a governmental level have distinguished Dr. Laffer in the business community as well. He currently sits on the board of directors or board of advisors of a number of private and public companies, including BelHealth Investment Partners, GEE Group, Tenth Avenue Holdings, ARK Investment Management, Preverity, Armor Concepts and NexPoint Residential Trust. Dr. Laffer is the author of a number of books, including The End of Prosperity: How Higher Taxes Will Doom the Economy--If We Let it Happen, which was a nominee for the F.A. Hayek book award in 2009, Return to Prosperity: How America Can Regain Its Economic Superpower Status, Eureka! How to Fix California, New York Times Best Seller An Inquiry into the Nature and Causes of the Wealth of States, and its sequel Wealth of States: More Ways to Enhance Freedom, Opportunity and Growth.